Classic Ivy Oxfords Straight From Japan. | A Continuous Lean. Classic Ivy Oxfords Straight From Japan. There is no item more essential to stateside style than the good ol’ oxford cloth button-down. 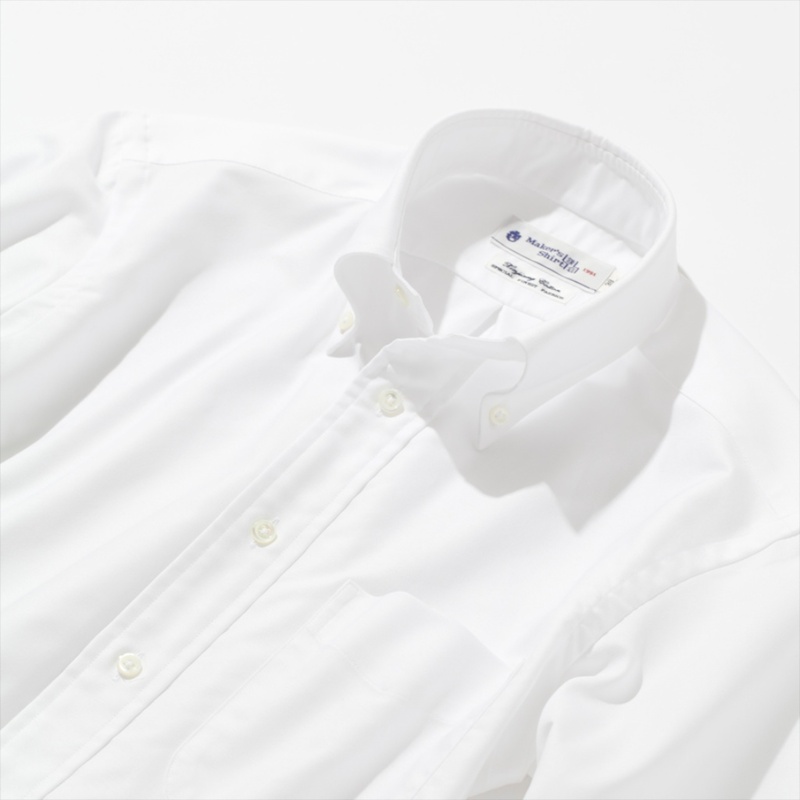 Affectionately known as the OCBD, this shirt has remained an icon of American style for over a century, which is why it only makes sense that arguably the best oxford on the market right now comes straight from Japan. Before any Ivy League pursuits out there try to burn me at the stake (in a sack suit of course) allow me to explain. When John E. Brooks, the grandson of Brooks Brothers founder, developed the first OCBD based on a shirt he spotted on English polo players in 1896, he wasn’t merely designing another garment to add to his family’s repertoire, he was giving birth to a legend. All legends eventually fade though, and over the years measurements have been updated, fits have been tweaked, factories have changed. The Brooks oxford that you can purchase today might be related to its ancestor, but it’s far from a direct clone. For most Americans these changes don’t even register, but to those that are interested (or pedantic) enough to care, they’re a deal breaker. Many companies have tried, to varying degrees of success, to recreate the original OCBD over the years, yet none have ever done it as well as Kamakura. The Kamakura story is one that has become curiously familiar over the past few years – a Japanese style aficionado, in this case Yoshio Sadasue, decides to convert his love for the â€œEast Coast lookâ€ into faithful reproductions of archetypical Ivy League garments. This tale is unique though, because Sadasue was not merely raised on the Ivy look, he helped to shape this style in Japan through during his time at the legendary (and yet elusive) trad brand VAN Jacket in the sixties and seventies. 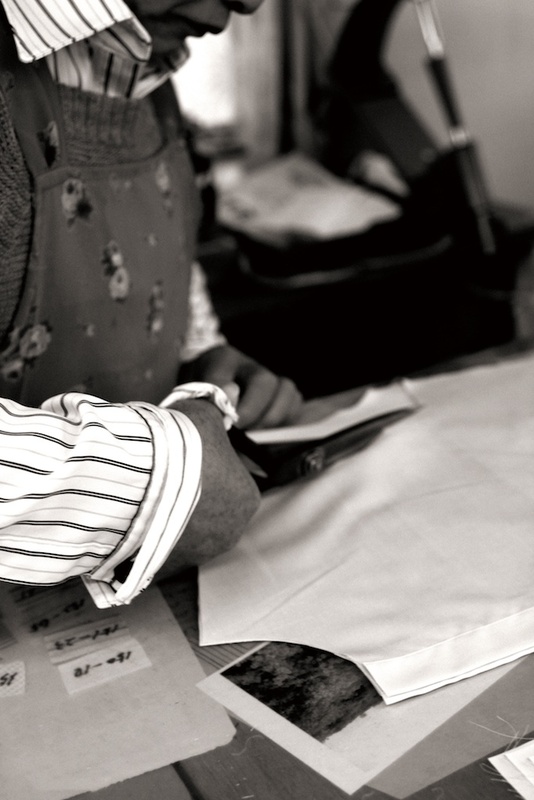 Sadasue founded Kamakura in 1993 with the simple goal of crafting a shirt that could match the standards of an original Brooks Brothers oxford, a shirt that Brooks was now seemingly incapable of making themselves anymore. Using Japanese factories, ultra soft cotton, and the sacred specs of the original OCBD, Sadasue was able to recreate that much beloved shirt right down to the all important collar roll. From there, he has built up the brand to include not only these authentic OCBD’s, but also four different fits, knit shirts, and recently accessories, all produced in Japan and filtered through an American lens. The spirit of Madison Avenue has always coursed through Kamakura’s veins, but it wasn’t until this past year that the brand decided to plant their flag in New York. By setting up shop on this well regarded menswear block, Sadasue has positioned Kamakura as a veritable competitor against the somewhat staid storefronts of America’s oldest brands. Considering Kamakura seems to be beating these guys at their own game, oh yea, and doing it all for under $80, this is a battle that Kamakura might have already won. 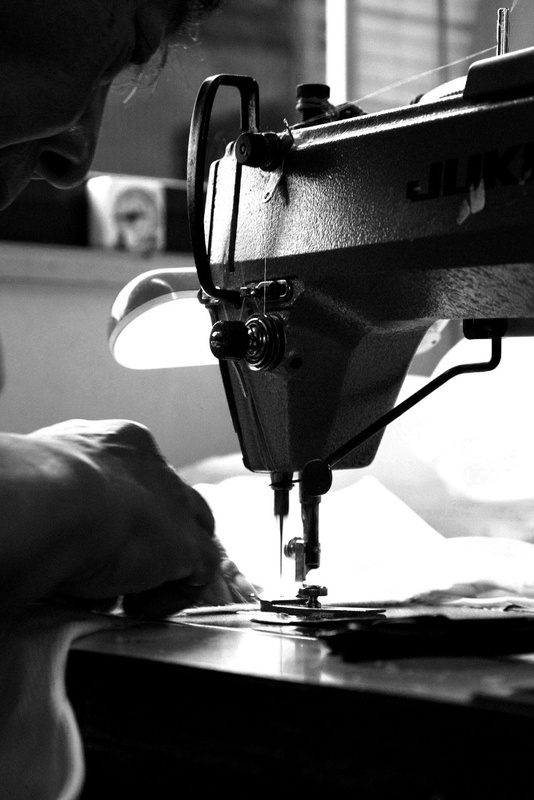 Kamakura makes many different types of shirts in addition to the OCBD, as seen above and below. 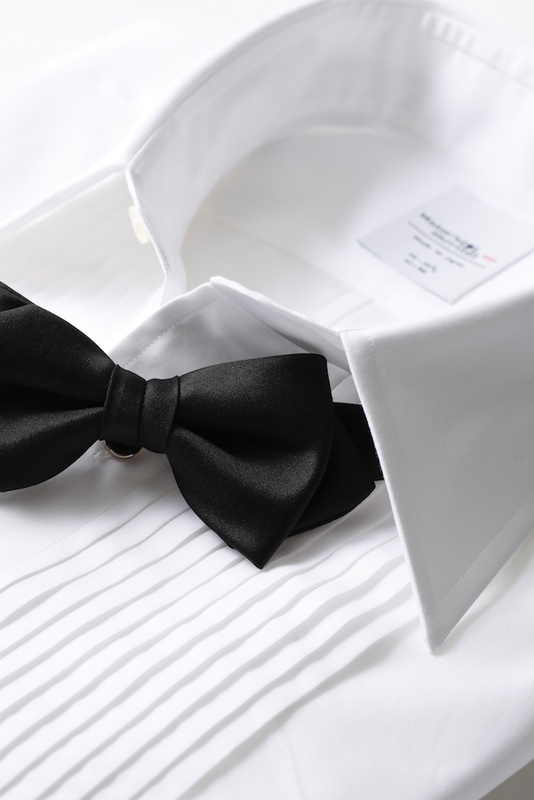 While these shirts are indeed beautifully made the collars and cuffs have a very stiff lining–many people (including myself) would argue that this is not correct for an OCBD. I was expecting $120 plus so that’s pretty decent. I like Kamaukura shirts quite a bit and they’re are a fantastic value, but they aren’t similar at all to the original OCBD. They’re clearly a modern interpretation. Mercer & Sons in New York make an authentic version of the original, right down to the billowy cut (which they will tweak on request). When everyone was wearing button-down shirts (with the little button in the back of the collar), I wanted stiff collar English made shirts. Sometimes it’s so hard to be different. I finally got some of those English shirts. Some had detachable collars, which I never really warmed up to. I happen to have put on a Kamakura OCBD this morning. Nice shirt – though as commented on above it’s not really like a vintage BB in that it has a lined collar. My other complaints about the shirt are that the color (this one is blue) is a bit pale – I guess I prefer a bluer blue. And also that the sleeves are a tad short. It fit perfectly right out of the bag, but shrank some when I laundered it. When I returned to the store to see about maybe getting a white one, I found that they don’t actually carry a longer sleeve in my neck size than the one I got. So their sizing choices are a bit limited. They do have a made-to-measure option, but that’s obviously not going to hit that attractive price point that everyone’s mentioning in their comments. How does the body fit? I weigh around 185lbs with a 42 inch chest and 33-34 inch waist. So, I like a shirt that is tapered and not boxy. How is the quality of the fabric and workmanship compared to some high end shirtmakers such as Zegna,Kiton and Charvez? Scott, the fabric is decent, mop buttons, etc. doesn’t compare to zegna, kiton, or charvet – those are on the much higher end. They offer two fits, which they call “New York” and “Tokyo”. The New York fit is somewhat trimmer than a Brooks Brothers trim fit. The Tokyo fit is extremely trim – it even has darts in the back. I’m 6′ tall, 180 lbs., 44″ chest, 34″ waist. The New York fit would be perfect for me – if they carried a longer sleeve. The way I see it, Brooks and Kamakura occupy a similar space. If the men that shopped at Brooks in the sixties were at the forefront of men’s style at that time, then I view Kamakura in the same way for today’s audience. The fact that Kamakura’s slimmer fit has become a favorite throughout the obsessive (okay let’s face it, pedantic) menswear community that exists on and off the internet today, speaks to contemporary preferences. While Brooks has become glacial in advancing their collections, the innovative spirit that they once had can be seen in Kamakura’s shirts today. Kamakura is creating the shirts today that, in my opinion, Brooks should be creating. Thanks guys for the info. I really like the button down look with jeans and it’s hard to find a company that makes a good shirt with a good model at a reasonable price. I see this misinformation trotted out again and again. Yes, the Kamakura shirts are nice. But the collar is no softer or more ready to roll than the current BB OCBD. In fact the oxford cloth of the right-now, 2013, straight-from-the-USA-makers-Brooks is quite superior to the Kamakura. It’s very simple to prove. Just buy and compare! BB makes 4 different shirt fits. Their extra slim is pretty slim. 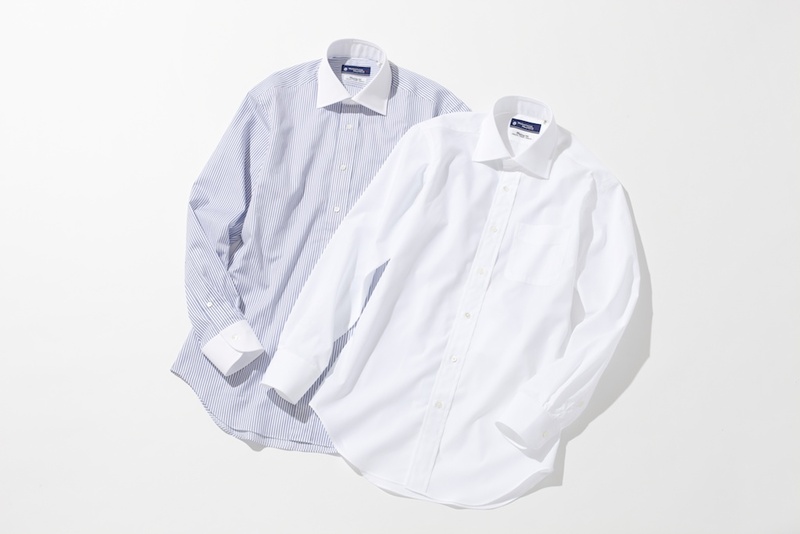 Nice shirts from kamakura but if you want an original trad OCBD you can still buy them from brooks brothers. Just saying. No choice us guys over 6’4. I think at that price point you should over look any contemporary tweaks to fit, and just pick one up. If it wasn’t to your liking you’re only ~$80 in the hole.